Great chew toy or toy part for medium to large birds. 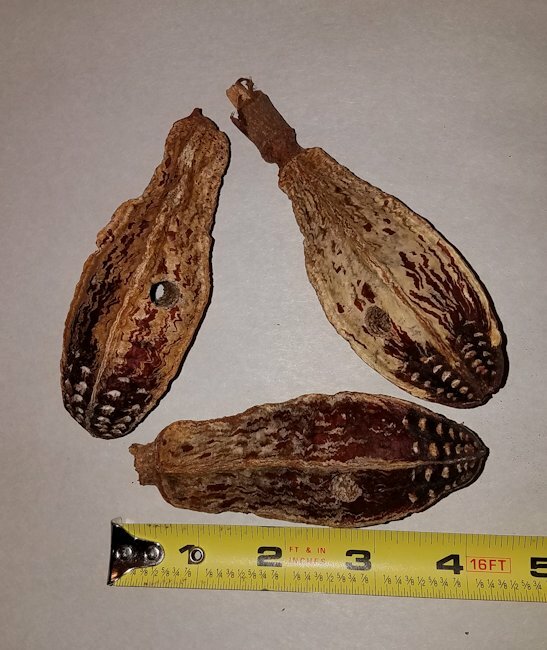 Mahagany Pods are a bit of nature that provide your birds with great chewing fun. Harder than yucca or balsa, but softer than pine. Give as foot toys or string to make toys in the holes. Each pod is about 4" long. Pack of three. Purchase with or without holes! My Grey is enjoying tearing the pods to shreds! I'd never seen mahogany pods before and they are bigger than I was imagining (I realize it specifies 4" - my fault for not picturing them accurately). Probably great for medium-large birds, but my little conures are a bit scared of them so far. I'll keep working on introducing these to my birds because they are probably fun once they get going chewing them. Quality seems good.